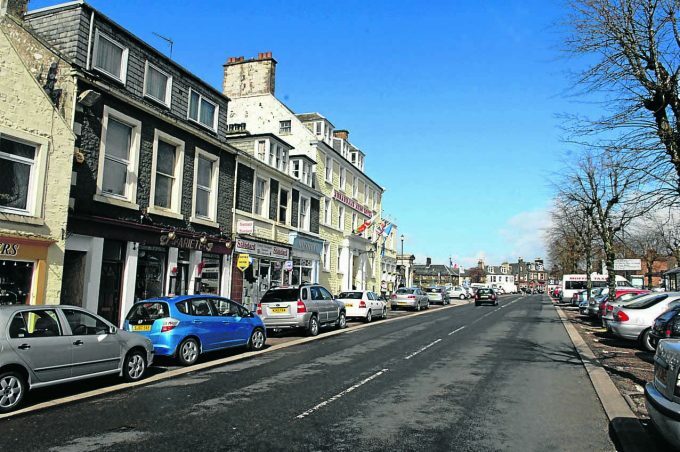 A £2 million funding bid to see Moffat regain its historic charm has been turned down — but the dream is still alive. Moffat Community Council applied for a multi-million grant from Historic Environment Scotland’s Conservation Area Regeneration Scheme (CARS) last November. But the group has now found out that their application has been unsuccessful. The cash would have been used to support ‘heritage focused’ projects, such as restoring the town’s Georgian and Victorian buildings back to their former glory. As part of their application to CARS, community councillors first had the task of commissioning and fundraising for a pricey town report called a Conservation Area Character Appraisal and Management Plan (CACAMP) – without this their application would have been void. provide the report, which has now been adopted by Dumfries and Galloway Council, but it is yet to be fully fundraised for. Speaking at Tuesday’s meeting, community council chairman Dr Derek Cox was optimistic, however, and said: “It’s not as disappointing as it perhaps sounds. “The principle reason for the funding being unsuccessful is our lack of match funding. The committee will now explore match funding options and try again later this year. They are hopeful that their 2019 request for funding will be successful and that work to restore the town’s historic charm could begin as early as 2020. In the meantime, Historic Environment Scotland have encouraged them to apply for less substantial grants to help push forward smaller projects, such as training.